An internationally recognized expert on post-traumatic stress (PTS) will speak at St. Scholastica from 5 to 7 p.m. Thursday, May 3 in the Science Center Auditorium (Science Center Room 2122) on campus. Dr. Stevan Hobfoll will discuss human stress response as well as PTS. He will highlight his research and treatment successes of PTS in the veteran population, and he will discuss how combat, experience and social factors affect PTS among American and Israeli defense forces veterans. The presentation is free and open to the public. Hobfoll is an internationally recognized professional with more than 30 years of experience working in mental health. 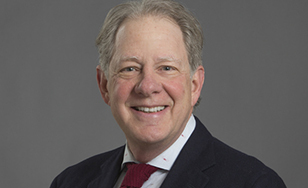 He serves as the Judd and Marjorie Weinberg Presidential Professor and Chair of the Department of Behavioral Sciences at Rush Medical College as well as Senior Fellow at the Center for National Security Studies at the University of Haifa in Israel. Hobfoll has received more than $12 million in research grants from the National Institute of Mental Health for his work as a principal investigator or co-investigator in the areas of post-traumatic stress disorder, stress, terrorism, trauma, and HIV/AIDS. Serving as a key member of numerous national task forces, Hobfoll has advised on topics including war, terrorism, stress, mental health, and emergency preparedness and response for various federal agencies and national organizations. Hobfoll has authored and edited numerous books, and he has published more than 200 peer-reviewed journal articles and technical reports. He received his Ph.D. as well as a Master of Arts degree in psychology from the University of South Florida in Tampa. This event is sponsored by the INVITE Grant Program at The College of St. Scholastica School of Nursing.